During the festive end of the year period, Heritage Resorts offers its guests a range of unique experiences thanks to which they will enjoy moments of true relaxation, whatever their tastes and preferences. What better way to end the year in style? At Heritage Resorts, we understand that it’s the little things that truly make a difference, and that attention to detail is always a source of pleasure. This is why the group offers its guests a selection of inimitable moments that will help perfect any stay. Want to while away the hours in a one-of-a-kind setting? Heritage Le Telfair invites its visitors to take advantage of its cosy and comfortable wooden cabin. Located in a quiet nook within the hotel grounds, under one of the trees that lines the lovely Citronniers River, the Heritage Le Telfair’s wooden cabin is the ideal hideaway in which to unwind solo or with a loved one. 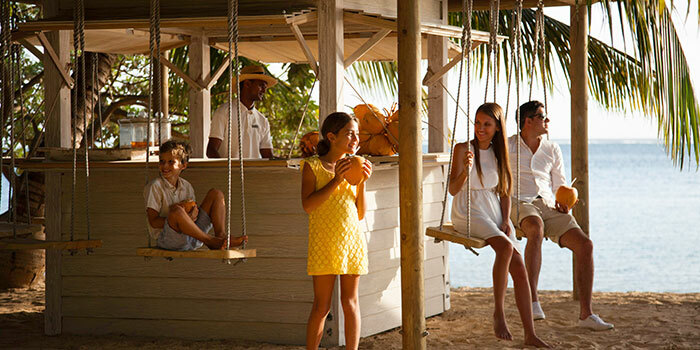 The Coco Shack was born out of Heritage Awali’s desire to help its guests discover Mauritius’ culinary heritage. It consists of an authentic creole food shack with an African twist, located on the hotel’s beach. On offer are succulently fresh coconuts, arguably Mauritius’ most emblematic fruit. A unique and glamorous experience, the tent at Heritage Le Telfair is among the most delightful of private spaces. It comes complete with a butler to ensure that you savour a moment of true luxury. In Mauritius, cooking is part of the local art of living, and a tradition that is passed down from generation to generation. This cosmopolitan island is fertile ground for a thousand different flavours and culinary customs. 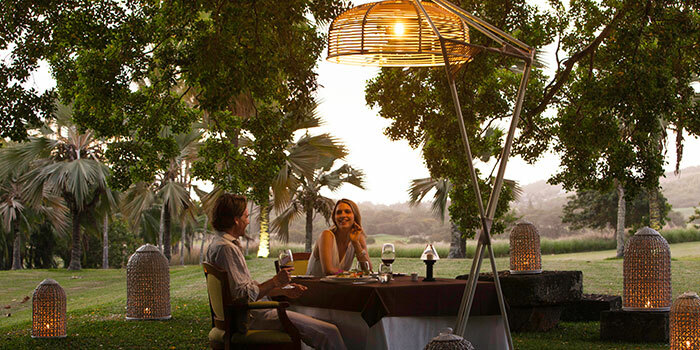 For this reason, Heritage Le Telfair offers its guests an exceptional gourmet escapade, the “ronde culinaire”, in which the visitor will be immersed in a local gastronomy that promises to delight the senses. Three different formulas allow you to select the venue and culinary tradition that best suit your mood – you can for instance choose to enjoy your starter, main and dessert separately in different restaurants over the course of an evening. Any number of different combinations are possible; you will be spoilt for choice during this dinner of discovery. 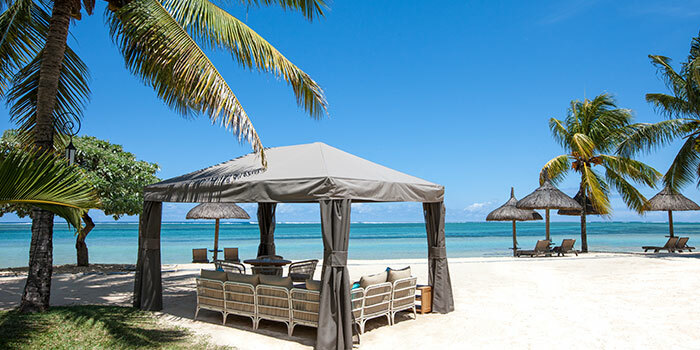 It takes small special attentions to make our visitors discover Mauritius in a different light. Since this December, they can get onboard Veranda Resorts’ catamaran to explore Mauritius’ splendid lagoon with the wind on their face! Mint blue sea, waves lapping on the shore, timeless sunsets… that’s Mauritius seen from a catamaran! Both wild and sophisticated, the island cradles visitors with sweetness of life of its own. 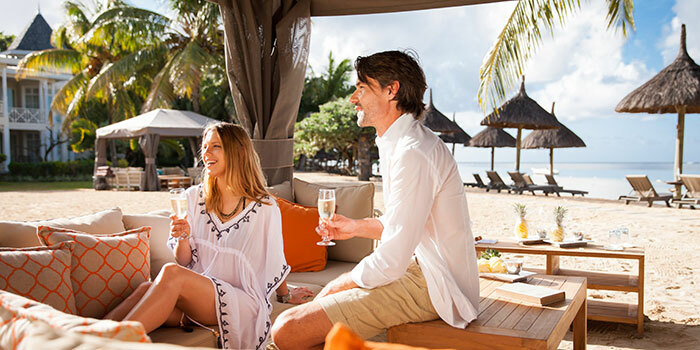 Away from the tourist bustle, Veranda Resorts puts its catamaran, Deep Into Blue, at your disposal, for you to enjoy a day-out at sea and discover the most beautiful spots of Grand Gaube’s lagoon – one of the largest of Mauritius. This is another idea of luxury! Veranda Resorts’ catamaran can also take you to the superb Ilot aux Bernaches. With many sites protected by coral reefs, Mauritius Island offers a number of exceptional marine landscapes, from white sand beaches to sea bottom. On these coral nuggets floating over the Indian Ocean, life goes down to simple pleasures: swimming with fish, reading, daydreaming, diving, sightseeing, enjoying the moment… and sailing away. 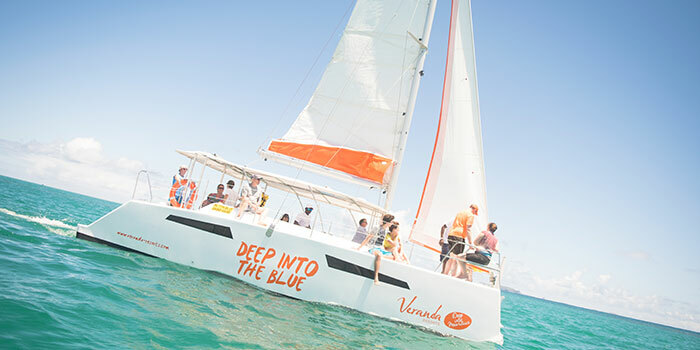 Veranda Resorts’ catamaran is also available for individual rental – ideal for couples who wish to go on a romantic getaway in the most intimate atmosphere. They can even ask for a private butler service! Finally, it is possible for couples to watch the sunset and enjoy some grilled lobsters on Veranda Resorts’ catamaran. Nothing is too good to spend a memorable time… Deep Into Mauritius!